Parallelo is a design using short row colourwork, and was the very first design I did with the Bloomsbury DK that I used for the Elemental collection. When the idea of working colourwork sideways hit, and wanting to use short rows to achieve those colour changes, the collection was going to be more minimal and graphic in style. I had the photoshoot planned out, a good 3 or 4 designs mapped out. And then I designed Toph and that all changed. 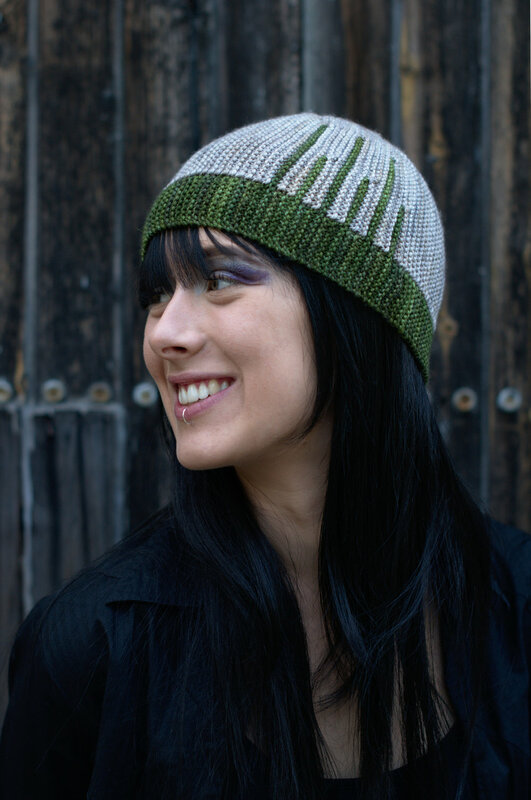 This Hat was already a written pattern and knitted sample when things changed direction, so here it is. It gives an intro to the techniques used in the Elemental collection, and is a great pattern to start with if you're a little unsure about diving in. It's also a different style - Hat shape wise as well as design wise - so if slouchy organic forms are not for you, Parallelo might be just right. Parallelo is available as a single pattern from me through my usual outlets, but it's also available through the Yarn Collective where you can buy a kit with the Bloomsbury DK. Like the Elemental Hats, this one is graded through gauge. There is room to make some adjustment within the plain panels - something I'll talk about more on the forum for anyone interested. 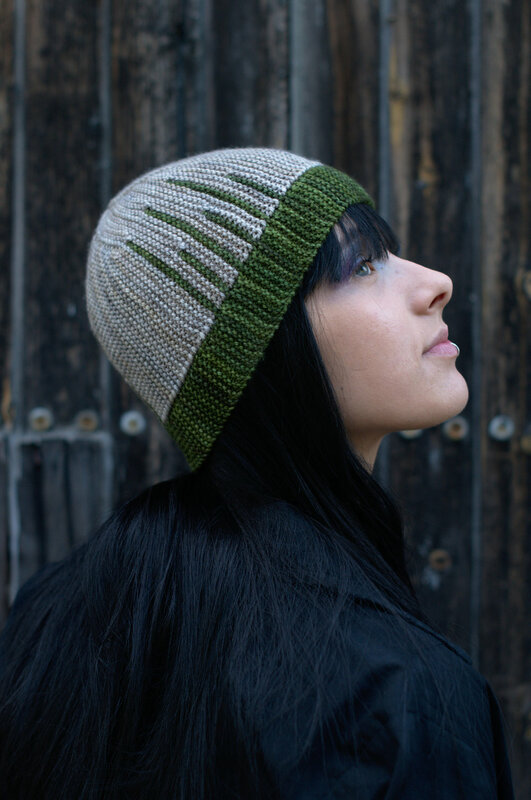 It also has a bit of a mix and match feel to it - there are two panels charted, and any combination of them will give you a finished Hat - so you can mix up those stripes or have a solo striped panel amongst the plain ones. Those other graphic designs I'd planned have been parked, but not for long. I have So Many Ideas for this technique that I can't write them down quick enough! In the meantime though, do have a go at Parallelo, and I'll let you know how the other ideas come along.